A petition has been signed almost 5,000 times calling for anti-LGBT+ pastor Steven Anderson to be banned from entering Ireland. Anderson—a preacher with the Faithful Word Baptist Church in the United States—is due to preach in Dublin on May 26, according to his online schedule. 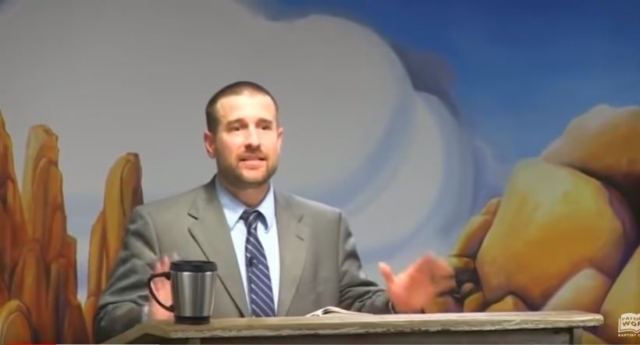 “Steven Anderson is a Holocaust-denier, Islamophobe and anti-LGBT+ extremist who is scheduled to preach in Dublin, Ireland on May 26, 2019,” the petition says. If the Irish government takes action and bans Anderson from entering the country, they would not be the first to take such measures. In 2016, he was banned by the South African government from entering the country. In the same year, he was banned from travelling through the United Kingdom on his way to Africa. In a 2016 sermon, Andereson said that any man who isn’t “faggoty” should be able to demand obedience from his wife.